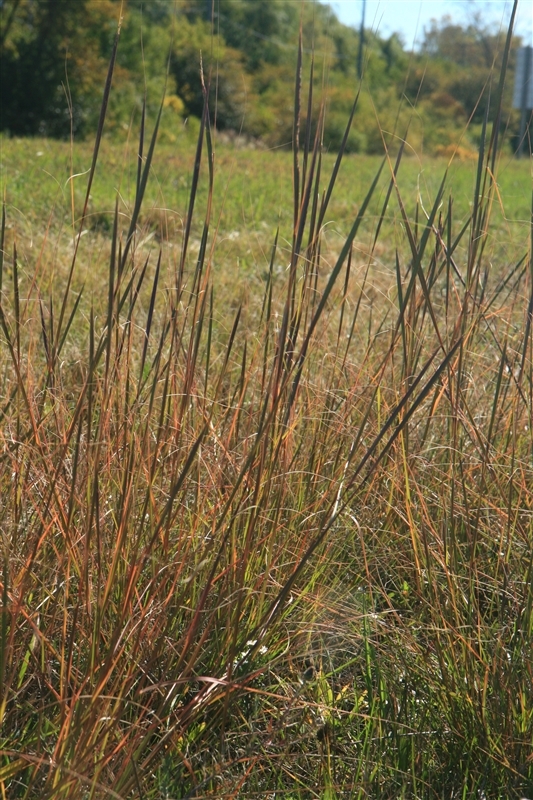 Sporobolus compositus var. compositus is a perennial C4 grass (Hilty 2006) to 1.5 m tall; stems to 0.5 cm thick, sheaths overlapping, long-hairy around top. Leaves alternate, to 0.4 cm wide, about as long as stems, often longer than inflorescence, hairy near base, above. Flower spikelets 1-flowered to 0.6 cm, glumes 1-veined, first glume 0.2-0.4 cm, second 0.3-0.6 cm, lemma longer than second glume, blunt tip boat-shaped, palea as long as lemma; inflorescences branched, mostly enclosed within leaf sheaths, or exerted to 50 cm, pale green to purplish; blooms and fruits Aug.-Oct.
Habitat: Dry open soil, sand, back dunes, soil pH 5.5-7 (USDA, NRDC 2010).